Who is your favorite to win? Why See Westminster Kennel Club Dog Show? The annual Westminster Kennel Club Dog Show returns to Madison Square Garden for its 143rd year, displaying the very best in canine talent from across the country. The Westminster Kennel Club was established in 1877, making it America's oldest organization dedicated to the sport of purebred dogs. Competing in (and winning) the show is an illustrious honor for pedigree owners throughout the world. Officially America's second oldest sporting event after the Kentucky Derby, The Westminster Kennel Club Dog Show was first held all the way back in 1877 as a contest for gun dogs and has expanded into the world class event we know today, now hosting many breeds and contests such as Best In Group and Best in Show. Don't miss the action in this historic year! 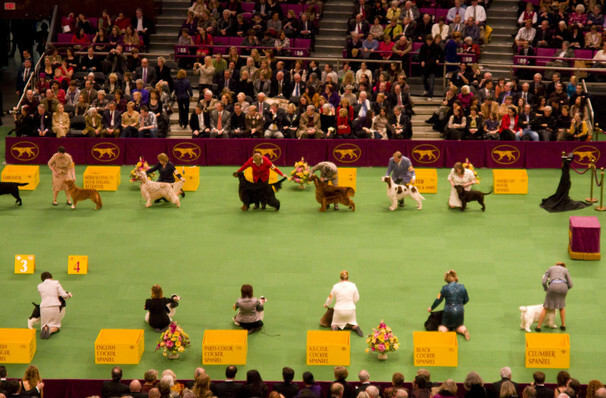 Seen Westminster Kennel Club Dog Show? Loved it? Hated it? Sound good to you? 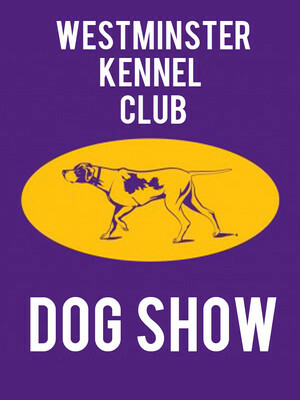 Share this page on social media and let your friends know about Westminster Kennel Club Dog Show at Madison Square Garden. Please note: The term Madison Square Garden and/or Westminster Kennel Club Dog Show as well as all associated graphics, logos, and/or other trademarks, tradenames or copyrights are the property of the Madison Square Garden and/or Westminster Kennel Club Dog Show and are used herein for factual descriptive purposes only. We are in no way associated with or authorized by the Madison Square Garden and/or Westminster Kennel Club Dog Show and neither that entity nor any of its affiliates have licensed or endorsed us to sell tickets, goods and or services in conjunction with their events.